Home NewsReal EstateGetaways	West Palm Beach Steal!! 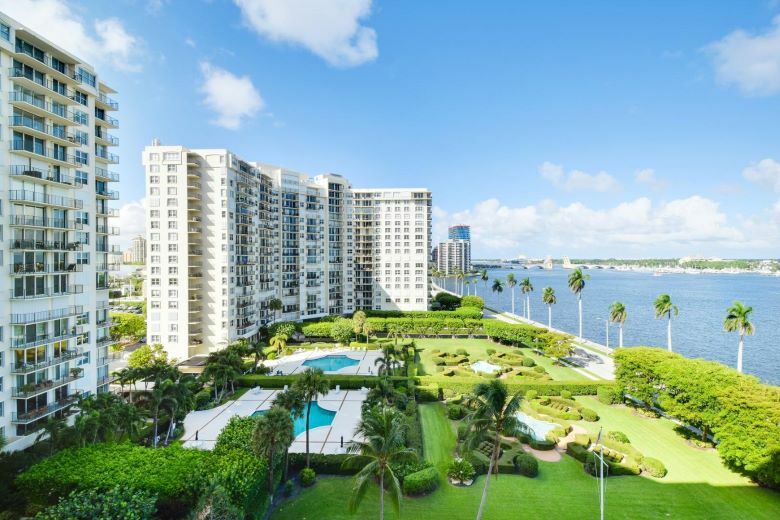 Designed by noted Palm Beach Fashion Designer, a refined Rapallo South condo with breathtaking water views of The Everglades Club and the Breakers Hotel. The sleek architecture is accentuated by ebony black hardwood floors throughout, while a cook’s dream kitchen features contemporary white Italian cabinets, black silestone countertops and modern stainless steel appliances. The black and white en suite bedrooms are bright and airy, with four closets and 46′ of hanging space !High impact windows, installed by Palm Beach’s best window contractor, solid core wood doors and modern Italian hardware create a high quality residence. The exceptional Rapallo South Condominium building is a full service building, featuring 24 hour doormen, located adjacent to the famed historic El Cid neighborhood. Amenities include a gorgeous, Heated Swimming Pool, Cabana, Social Room, Movie Theatre and Fitness Center. Wise investors take note! The nearby Bristol Condominiums are priced from 5 to 20 million, making Rapallo South a wonderful value. Additionally under construction “La Clara” project starting at $2 million and up next to Rapallo.